A more telling statistic about the overall standard of living is the Human Development Index (HDI). Factoring in the GDP/capita, the HDI also includes the overall levels of education and health care. 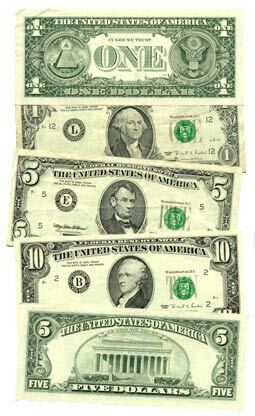 The overall wealth of the United States has been achieved because of the free enterprise system. This is not the case with every country at the top of these indexes. Qatar, for example, has an extremely high GDP per capita primarily due to their oil and natural gas exports. The United States experiences a near-constant stream of new products. An excellent measure of a country’s inventiveness is to examine the number of patents granted each year. Intellectual property, a form of property, is a set of rights granted to an inventor of a product or process that restricts ownership, production, and distribution decisions to the patent owner. This ensures a stable system whereby inventors can be confident that their intellectual efforts (their labor) will be fairly rewarded. According to the U.S. Patent and Trademark Office, 276,788 new patents were granted in the U.S. in 2012. With few exceptions, the number of patents granted grows each year. There are several conditions that make this access to new products possible that result from the form of government as well as features of a market-based rather than a command-based form of economy. A system of strong property rights is necessary in a free enterprise system. The United States has systems in place to allow for clear definition and enforcement of property rights, the two essential features that allow for property rights to lead to economic growth. Article I, Section 8, Clause 8 of the Constitution states, “The Congress shall have the power to promote the progress of science and useful arts by securing for limited times to authors and inventors the exclusive right to their respective writings and discoveries” (The United States Constitution Article I, Section 8, 1787). Through a system that includes paperwork like receipts, deeds, titles, copyrights, and patents, businesses and individuals can prove ownership of property. When a person can prove ownership, it also allows for use and transfer (selling) of ownership. This feature leads to innovation because individuals and businesses are able to profit from their choices. Furthermore, our system enforces property rights. If a person steals, trespasses or otherwise disrupts another’s property, the police and courts will act to support justice. It is this free enterprise system that has allowed for the dynamic growth of the United States economy and increased its overall prosperity. The United States has a limited government, and that feature extends to economic choices; most decisions about what, how, and for whom to produce are left to market forces rather than government dictates. While there are plenty of regulations about taxes, environmental and labor standards, and licensing, the U.S. government does not stifle business nearly as much as the governments of most other nations across the globe. On a scale of one to ten (with one being the least and ten being most free), the United States earns a 6.43 for the size of government according to the Economic Freedom of the World Index (Economic Freedom Network, “Economic Freedom of the World Report,” 2013). This is the sixty-first largest government in the world. However, the ranking for the regulation criteria is 7.64, making it the seventeenth freest in the world. Overall, the U.S. earned a 7.70 on the index, making it the nineteenth freest country in the world. For comparison, Hong Kong is the freest country, earning an overall score of 8.80 on the index. The governments’ relatively moderate involvement in the economy incentivizes inventive entrepreneurs who are rewarded based on the value their products or services provide to other citizens. The feature of a limited government allows for business activity free of government’s commands. In a less limited government, a business is obliged to comply with numerous regulations or to pay taxes. The costs of production increase, which cuts into the profits. Company leadership can raise prices to offset this cost, though consumers generally reduce purchases as prices increase. This increase in costs also causes leaders to slow down hiring, making unemployment numbers grow economy-wide. While the primary motivation of lawmakers is generally not nefarious, good-intentioned bureaucratic policies can slow the flow of the economy. On the flip side, limited governments encourage the creation of new businesses by lowering the cost of conducting business, thus reducing the unemployment rate and increasing the output of the nation. Another government feature promoting innovation is the rule of law. When everyone, even government officials, must follow laws, businesses are able to function with confidence that every party is expected to be honest. Businesses are not required to pay bribes to government officials, making it easier to run an honest company. Also, when members of society are confident in a functioning legal system, businesses and individuals respond predictably in terms of respecting property rights and sticking to contracts. Without this honesty, ensured by the rule of law, confidence in the system would be lost. Investors and inventors would have no guarantee that they would be rewarded for their labors, and, thus, a free enterprise system would not be possible. The market economy works through competition of buyers and sellers, so that all are free to buy and sell as they wish. It depends on the profit motive, assuming that everyone wants to buy at the lowest possible price and sell at the highest possible price. Competition and the profit motive promote freedom and prosperity. As calculated by the U.S. Census Bureau, there were around 27.1 million businesses in America as of 2007. In an average year between 2000 and 2010, 580,000 new businesses were created (Small Business Administration’s Office of Advocacy, “Small Business Profiles for the States and Territories,” 2014). The free market promotes entrepreneurship, which leads to an incredible number of businesses—small and large. 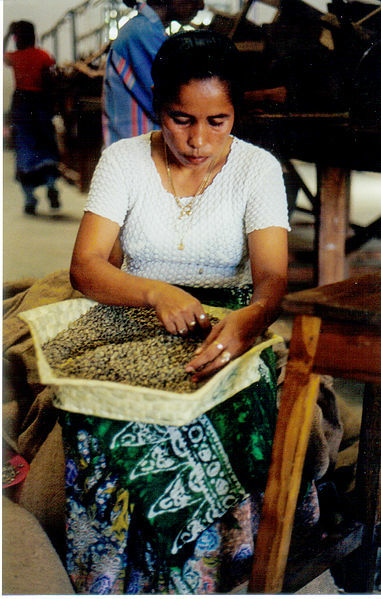 Further, the primary function of many of the businesses is to bring in money for the owners and workers. Even businesses classified as nonprofits due to their generous nature must bring in enough money to pay employees and to stay in business. That can only happen when their product is made or service is done well. With the incentives to earn money, business owners work to provide for the wants and needs of their customers. This great amount of competition combined with the profit motive encourages business owners to be efficient and inventive, resulting in a near-constant stream of new products.